If you want to pass some test or exam and get A+ you’ll have to study plenty of material, as well as commit it to your memory. That is why you should distinguish all the peculiarities of each memory type and top ways to commit a large amount of information to your memory. In this article, you will find all the needed information on memory types and ways to help you out with common problems. If you learn more about human memory, you will find out that there are three main types of it. The first one can help you to memorize for a long period of time. It’s called long-term. It can contain lots of information and keep it in your head for quite long. There are also other types, like short and sensory one, but they won’t help you to memorize as good as long-term type. People are all different so the process of memorizing differs as well. First, you have to learn individual peculiarities of your memory. If your auditory memory works better, try reading books out loud or listen to some lessons online. If visual memory helps you more, try using pictures while learning, watch films, make visual associations etc. After passing exams, did you ever forget everything you had learned? That means that you didn’t try to understand the subject and simply learned it by heart. As a consequence, we often fail to remember any of it in the future. Take a note that long-term memory will work for us if we study and use learned material during a whole academic year, but not when we try to read and learn tons of data 5 days before exams. If you have 3 days before an exam, you can study all the material but on different levels. The first day you can look through all the information and form a general idea about the subject, so you can receive D or E on an exam. The next day try to go into details of some questions. After completing this stage, you are likely to receive B or C. And the last day should be dedicated for repeating everything. But make sure you don’t go too deep with some question as you simply may lose much time. Also, if you feel like you are cannot solve a question now, skip it and try to solve others. The best idea would be to switch on your timer and study each question for let’s say 30 min. At the same time, you should remember that this method is working for those who want to use short-term memory, rather than long-term one. Even if you totally forget what the question is about, you can look into your plan and see main keywords, which may orient you to the right answer. This method will help you to learn main points to mention while answering a question. If you’re studying exact sciences, the best way to learn would be to practice. If it is humanities, you will have to learn by heart, look through a large amount of information, dates, names etc. Another point to mention is that if you enjoy the subject you study, you will learn things without making many efforts. It can be explained by the fact that when we watch or listen to something interesting, we are totally focused on the topic. 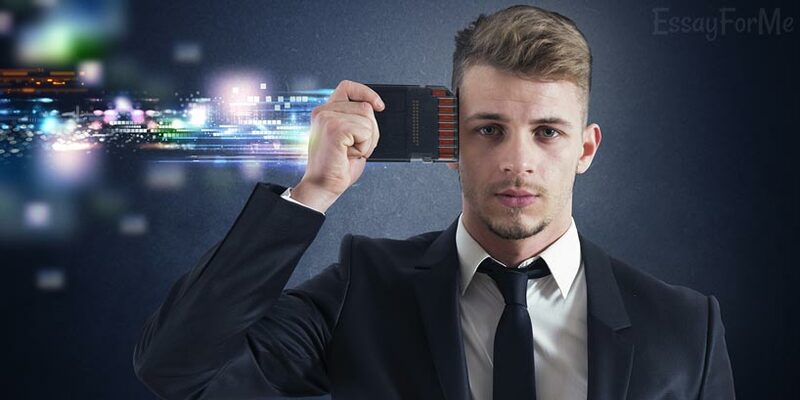 Research shows that if we consider some things as those which we will never need in the future, our brain automatically sends signals to delete this unneeded data. Thus, if you want to keep something in your mind for a long time, try thinking about how you can use this info in the future. For example, if you want to study Chinese language as a major, try to think about how you can use it in the future first. While learning new lexical material, think about any dialogue you can make in the future with the usage of learned words. To conclude, in order to memorize better you should stick to all these pieces of advice, because only then it will have a positive result. Rated 4.5 | 229 votes.